DIY Gold Starburst — THE FAUX FANCY. Hope you had a fantabulous Memorial Day! My favorite thing about long weekends is the short week that follows, of course. 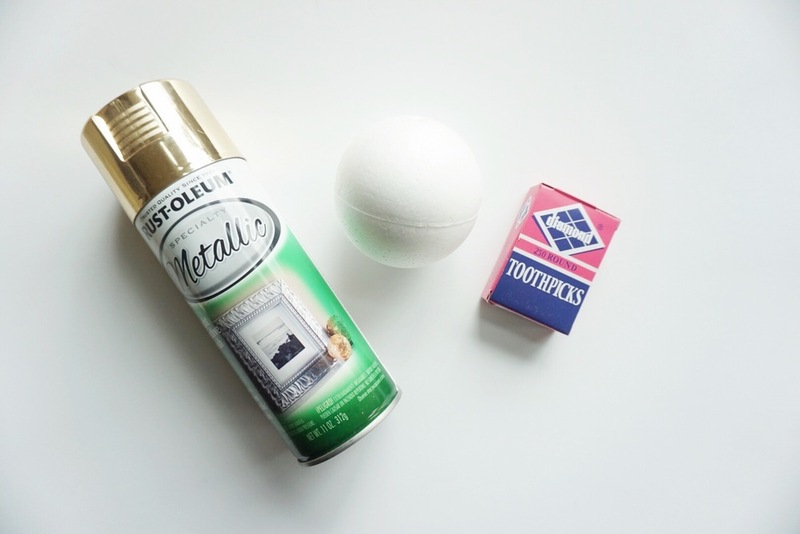 So today, I'm sharing a super simple DIY to do in all your newfound time. If you're super analytical, then sure you can tell this is an arts and crafts project, but otherwise... Not so much. This adds a cute (and inexpensive) addition to coffee tables and/or bookshelves everywhere. No really, that's it. I think the rest is super self-explanatory, but you simply spray paint the ball (or dome) gold and add as many toothpicks as it takes. Then, give it another spray, ensuring you cover all sides of the toothpicks. And there you have it. You're no Nate Berkus but you're pretty damn close. So kudos!